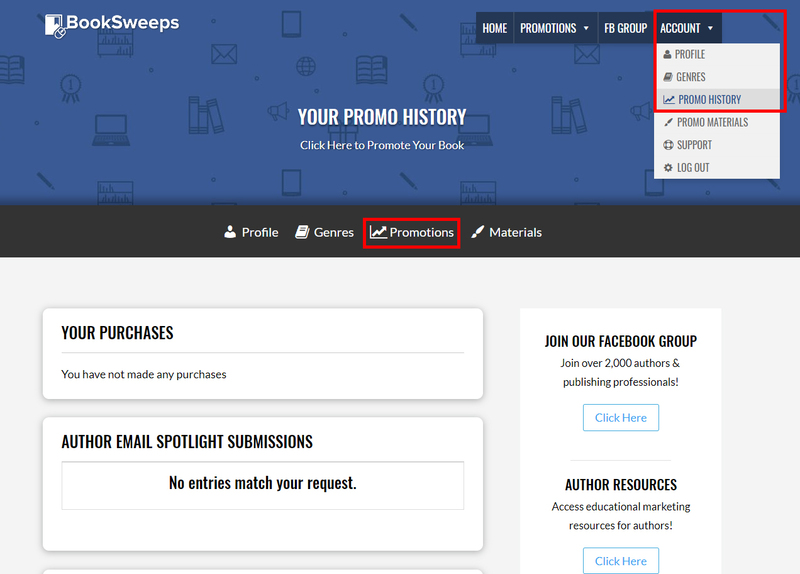 To view the Payment Status of a promotion, log in to your author dashboard and go to Account --> Promo History. If your book's Details inside your BookSweeps author dashboard says Processing or Abandoned, it means that your submission payment didn't process for some reason. To complete your payment, please click "Complete Purchase" in your dashboard. Once your payment is confirmed, you'll be good to go for the promotion! If you have any questions, you can contact us through our support form here. BookSweeps author dashboard login issues, password reset, etc.